Looking to impress or simply the best quality available . 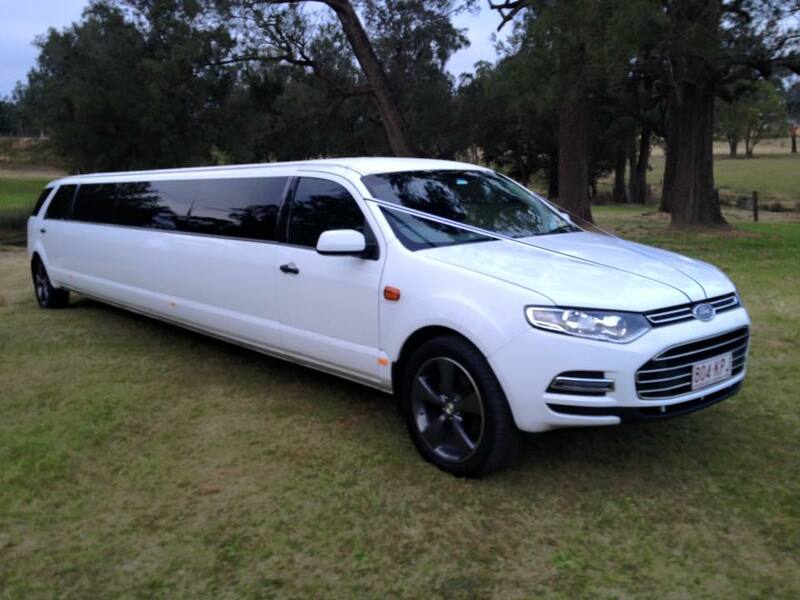 Our super Stretch vehicles are the latest category in transport industry a step up from a limousine – the latest in quality, size now available in Sth East Queensland. 13 passengers Ford FG G6E – 12 in the back and one up front with the driver – white with black leather interior. With a Handpicked Team of Specialist Chauffeurs, we provide friendly, professional and reliable Car Hire service Be assured we will be there to meet your flight or that your VIP Client will be well taken care of. From the Corporate Luncheon, Sporting tours, Race tours, to the office Christmas lights tour our luxury Super Stretches are the LATEST LOOK IN the TRANSPORT INDUSTRY whilst not a limo, size and quality of these vehicles make them a cut above most standard limousines in Sth East Queensland. After more than 25 years in the limousine industry Oakcorp have now progressed to the luxury Super Stretch, meeting the modern needs of today.